MITSUBISHI FX series, Q series. 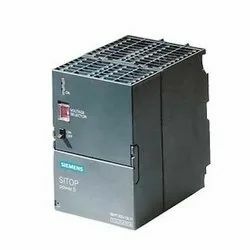 The powerful controller for system solutions in the manufacturing and process industries Within the controller family, the SIMATIC S7-400 is designed for system solutions in the manufacturing and process automation industry. This is a dedicated Logic Controller (DLC) to suit requirement of sophisticated Tread Mill. It contains 25 seven segment displays to various data like Speed, Inclination, Calories burned, Heart rate, Time, Distance traveled, Pace, No. of laps, Weight, Age, etc. 14 father touch keys makes it user friendly. With the valuable assistance of skilled team of professionals, we are engaged in offering an extensive range of high-quality Programmable Logic Control Panel. We make the best Programmable Logic Controller (PLC) in the entire industry. We have the skilled manpower and the latest machinery owing to which even the minutest detail is taken care of. Keeping the budget of the client in mind we provide them in competent prices. Home Controller has provision for connecting Sub GHz RFM22B and 2.4 GHz RFM70P wireless Hope RF Modules. This allows transmission of wireless command which is understood by wireless smart plug. Hence it enables control of wireless smart plug connected Home Appliances using Mobile Apps. - Small and economic PLC whitch Based on high performance, high reliability and powerful functions Meanwhile provide more features to meet user’s requirement such as USB programming, transistor DIO and so on. PLCs, HMIs, Relays, sensors, etc. Ladder BOT is a programmable logic controller(PLC) designed based on ARM Cortex-M3 microcontroller. PLC is used in the industry since many years and Ladder BOT brings great power of PLC in a small package. It can be used in Industry automation, Home automation, Robotics application, Lighting solution, Educational training.